This article assumes some prior knowledge about building LeadSimple forms, so if you haven't read the article on building basic forms yet, go check it out here before continuing. 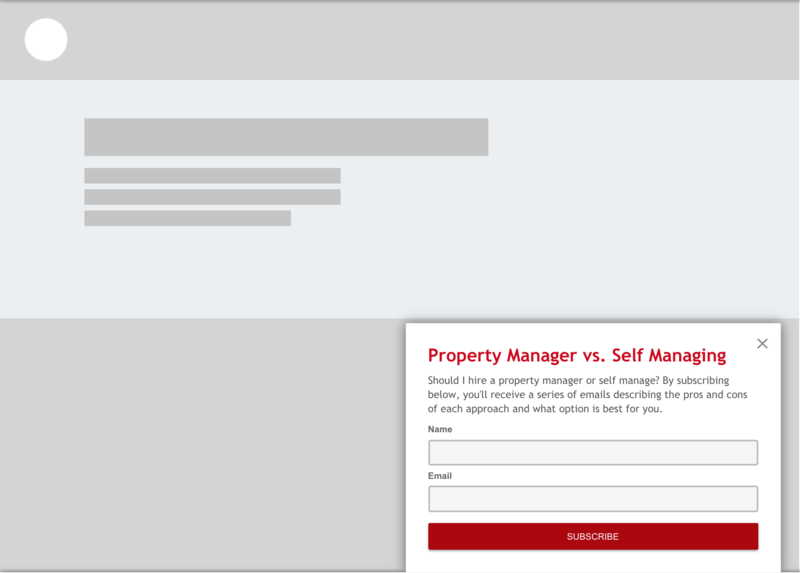 LeadSimple's form builder also allows you to customize placement, colors, what causes your form to display, and more. We'll cover that in detail below. It's important that your form matches your website's brand. This prevents it from looking out of place or unprofessional. We're going to update the colors, fonts and placement of our example form to accomplish that. All of these settings are found in the Design tab of the settings panel. First though, let's give our form a name. In our example, we've called it "Why Choose a PM Form". This will be important later on. and we'll update the colors to a nice red by clicking each color swatch (title, description and button) and moving the cursor to the red spectrum. We'll update the font as well using the Font Family dropdown. Finally, let's make the button full width by selecting that option from the Button Alignment dropdown. Now let's take a look at the preview panel. Our form is looking great! Images can make your lead magnet form even more attractive and professional looking and LeadSimple provides support for those as well. If you have some kind of image or graphic which illustrates the content you're offering, this is a great place to use it. To add an image, move your mouse into the settings panel and scroll down to the image settings section. Next, click upload and select the image you want to use from your computer. By default, the image will appear on the top of your form. We'll move our image to the left by selecting that option in the Image settings section. 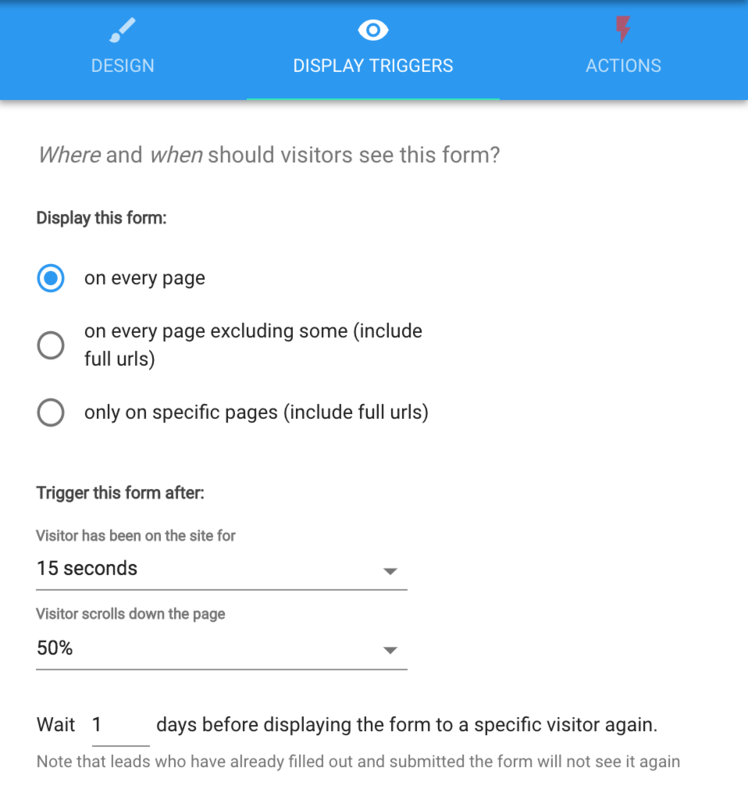 The next step is to customize when and what pages we want the form to appear on our website. To do this, we'll click on the Display Triggers tab in the settings panel. 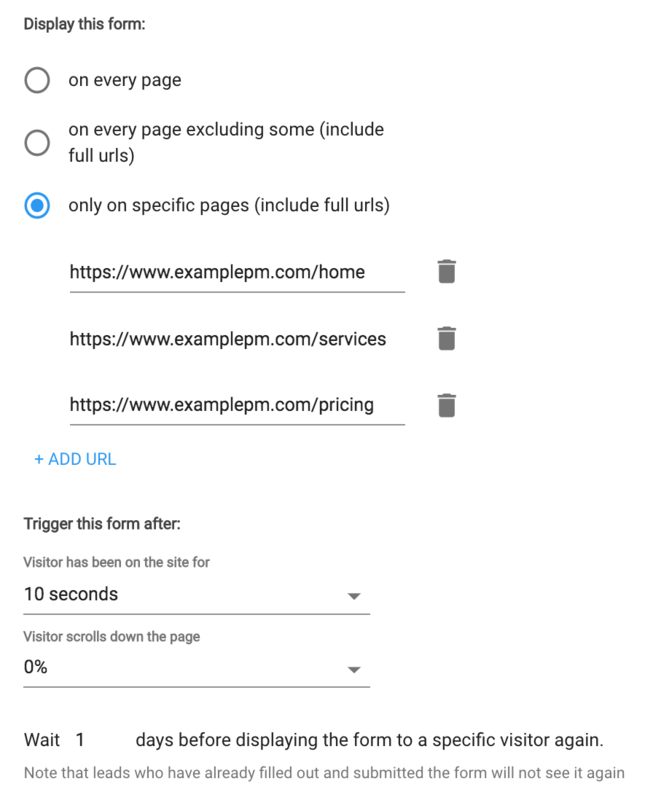 By default, the form will be displayed on every page on our website, after a prospect has been on it for 15 seconds or more, and after they scroll down 50% or more of the page. In our example, we only want to display the form on a few different pages, namely the "Home", "Services" and "Pricing" pages. So let's start by selecting option three in the Display this Form section of the settings (only on specific pages). 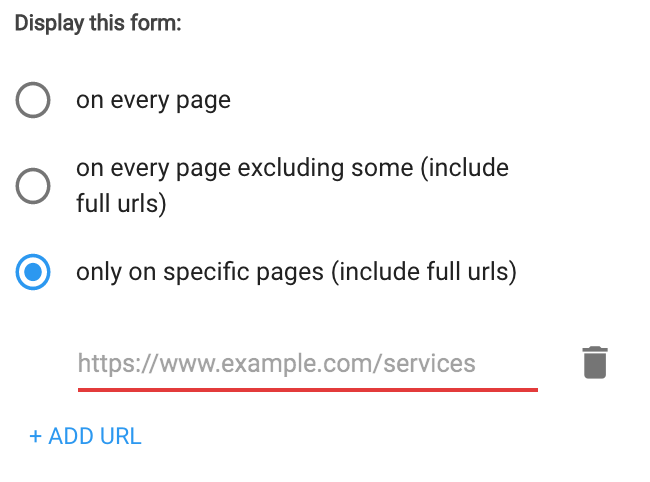 This generates a field for you to enter the URL of a page you want the form to display on (highlighted red to indicate it's required). Note that these must be full URLS including "https://www." at the front of each one. Click "+ Add URL" to add as many of them as you need, or click the trash can icon to remove one. Next, we'll set the form to display after a visitor has been on our website for 10 seconds. We also want it to display at any point on the page, instead of waiting until a prospect as scrolled down 50% of it. To do this, we'll set the scroll to 0%. Below are the results of our changes. The last setting determines how many days to you want to pass before the same visitor sees the form again after seeing it the first time. We'll just leave it set for 1 day for now. Lastly, we want to fine tune the actions that happen after a prospect submits the form. We'll be working in the Actions tab for this. 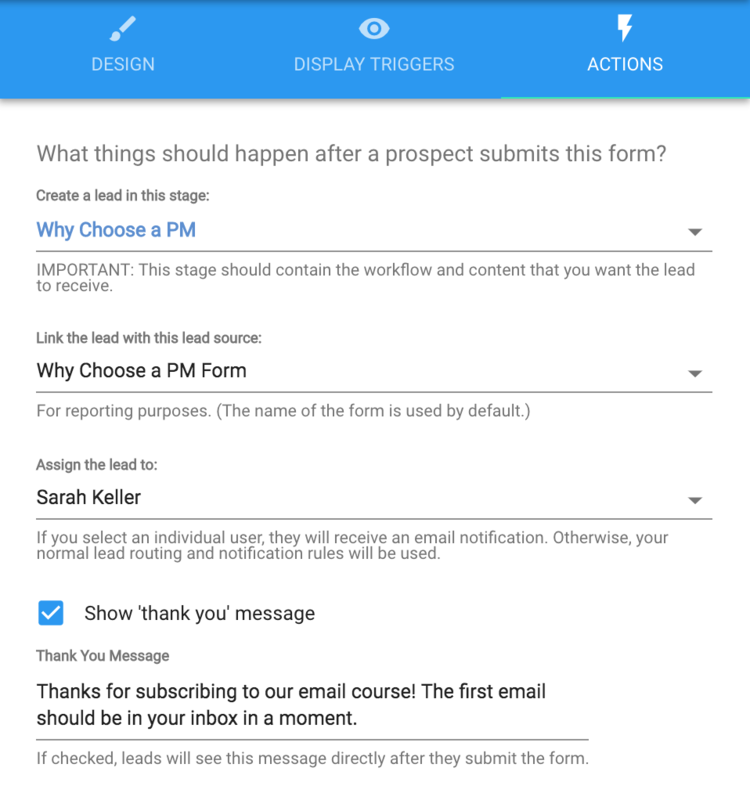 We already selected the "Why Choose a PM" stage when we built the basic form so that's done. Below that, we want to change the lead source LeadSimple tags these leads with when the come in. This is where the name we gave our form becomes important. By default, the software sets the lead source to the name of your form and will create a new lead source by that name when you click "Save". In the case of our example, the lead source is called "Why Choose a PM Form". The third dropdown in the Actions tab regards lead notifications when these leads come in. We're going to set LeadSimple to only send an email notification to one user and not follow the normal notification process for new leads. This is because lead magnet forms are meant to capture cold prospects who aren't ready for a phone call or serious sales conversation, and not warm, sales leads. In light of that, it's less important that you get a phone call or SMS notification when these leads come in. Now, let's edit the "Thank you" message. If you check the box, this message will be displayed after the prospect clicks the submit button on your form. "Thanks for subscribing!" will be displayed by default. Finally, click the "Save" button in the bottom right corner of the page. This redirects you back to the Forms & Site Tracking page where you can now see your form in the list. 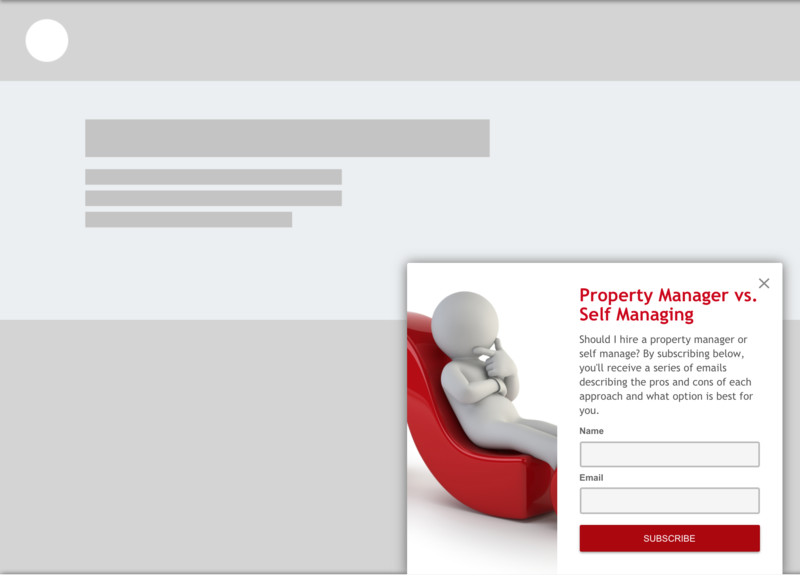 See this article for instructions about embedding forms on your website.